The York University Computer Museum (YUCoM) is a historical collection and a research center for the history of computing in Canada located in the Department of Electrical Engineering and Computer Science, York University. Visit YUCoM at York University. Participate in YUCoM's tours, exhibits, and seminars. Or browse the YUCoM collections on line to learn about the history of computing in Canada. Learn about the NABU Network reconstruction project and other historical reconstruction activities at YUCoM. Click the following link for more information on the exhibit. The MCM/70 computer, designed by a Canadian company Micro Computer Machines Inc. (MCM) in the period between 1972 and 73, is the earliest example of a microcomputer manufactured specifically for personal use. There are only a few MCM/70s left in computer museums and private collections. Unfortunately, most of them are in poor technical condition that prevents computer historians and vintage computing enthusiasts from using these machines directly. 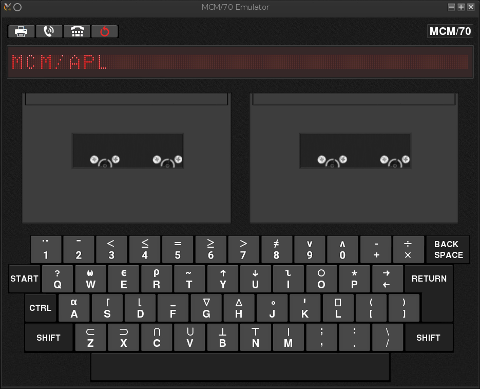 Because of its high historical accuracy, the MCM/70E emulator provides a unique tool not only for experimentation with the MCM/70 as an early personal computing hardware but also for the study of early microcomputer software. Click the following link to access the emulator's page. YUCoM is creating a free access, interactive, and permanent computing and information technology exhibition -- THE LINK. 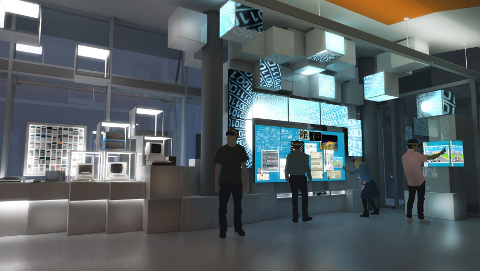 This world-class installation will showcase and celebrate Canadian contributions to computing and information technologies. It will link our technological heritage with the digital future and tell the story of technology's role in shaping Canadian society, its aspirations and values. Through this link it will inspire and motivate future scientists and engineers to follow in the footsteps of the Canadian scientists and technology pioneers. The exhibition will lead the conversation on technology's role in modern society and offer an innovative approach to outreach programs. To learn more about the exhibition, collaboration, and fundraising, please consult THE LINK proposal. Some of the first computers powered by the microprocessor were designed and manufactured in Canada. 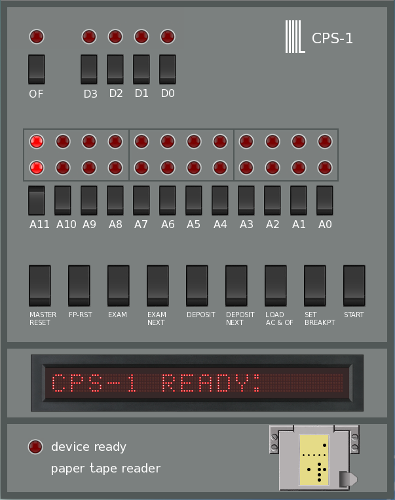 The CPS-1--designed by engineers from Microsystems International Ltd. (or MIL) based in Montreal--was one of the earliest computers built around a microprocessor (the MIL 7114 chip also designed by MIL engineers). While the CPS-1 was not designed to be a PC, the MCM/70 computer built by Micro Computer Machines of Toronto certainly was. The unveiling of the MCM/70 in September of 1973 was the world's first announcement of a microprocessor-powered PC. One of the earliest hobby computers built around a microprocessor was put together by a Canadian electronics hobbyist Howard Franklin of Toronto who, in 1974, used the MIL 8008 microprocessor to power his computer. All these computers and several other early Canadian PCs are housed by the museum.